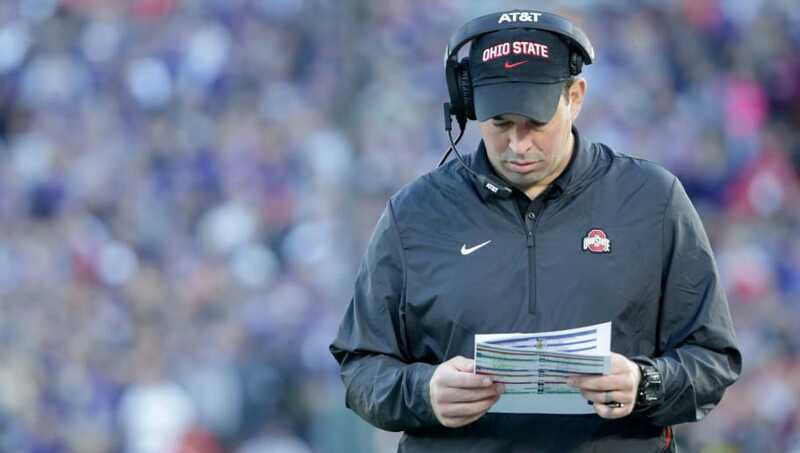 New ​Ohio State head coach Ryan Day is in need of filling out his staff after the departure of Urban Meyer, and the Buckeyes appear to have bolstered their offensive staff almost immediately. Ohio State has hired former Oklahoma State offensive coordinator Mike Yurcich as the Buckeyes' passing game coordinator and quarterbacks coach. OSU officially names Oklahoma State offensive coordinator Mike Yurcich as the Buckeyes passing game coordinator and quarterbacks coach. ​​One thing is abruptly clear with this hiring: Ohio State wants to spread the ball around the field and throw all over teams once the Day era begins. Did you see the Oklahoma State Cowboys offense the last couple years? Ohio State defeated Washington in the Rose Bowl, putting the Urban Meyer era to a triumphant end. Buckeyes quarterback ​Dwayne Haskins, who is expected to declare for the NFL Draft, led the team to victory and capped off his brilliant campaign. No matter who is the quarterback for the Buckeyes next season, there's clearly a great infrastructure in place for that player to succeed. The Buckeyes have been rumored to have caught the eye of former University of Georgia quarterback Justin Fields. While highly recruited out of high school, he has not gotten a chance to shine at the collegiate level. Either way, Yurcich will be working with Tate Martell or Fields, and by the looks of it, will have exactly what he needs to succeed.